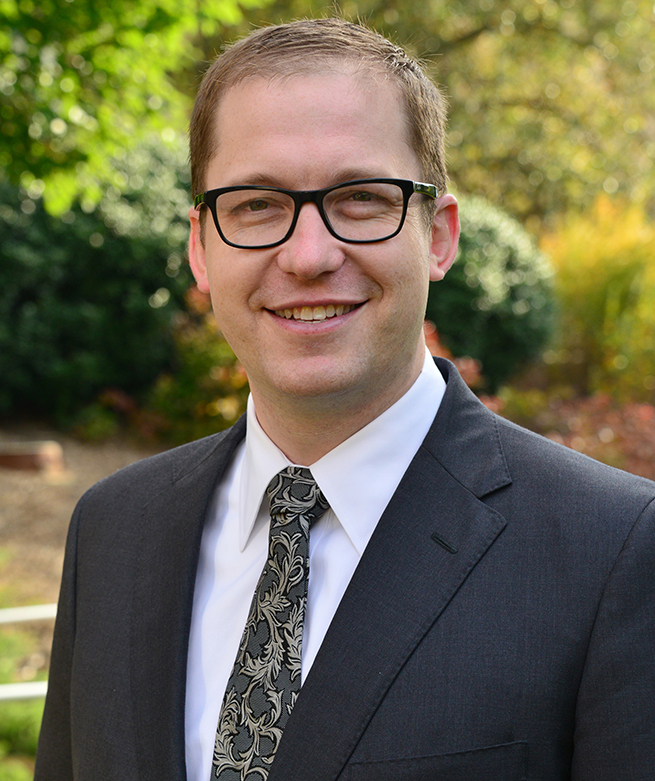 Michael Phillips, MD, joins the UNC Department of Surgery as an assistant professor, Division of Pediatric Surgery. He discusses his return to the University of North Carolina, what it means to him to not only treat his pediatric patients but their entire family, as well as how he believes informatics can play a huge difference in a patients outcome. Dr. Phillips received his BS in Microbiology from Brigham Young University in 2005. He attended the Medical College of Wisconsin, where he graduated with honors in research in 2009, then matriculated to the University of North Carolina Chapel Hill where he completed his general surgery residency and a T32 research fellowship in 2016. While at UNC, he was twice awarded both of the Herbert J. Proctor Award for Excellence in Surgical Research and Esklund Award for Excellence in Pediatric Surgical Care. Most recently, Dr. Phillips completed a two-year pediatric surgery fellowship at the Nemours/Alfred I. DuPont Hospital for Children in Wilmington, DE where he also served as Co-director of the Nemours System-wide Morbidity and Mortality Meeting. Dr. Phillips has a strong academic interest in health care informatics and how to better use the electronic medical record to support and advance clinical care. As such, he will have dedicated time working with the UNC Health Care Information Services Division (ISD). What brought you back to the Department of Surgery at UNC? I started in the Department of Surgery at UNC as a resident back in 2009. When I decided to pursue a faculty position, I immediately thought of UNC and hoped to return. I chose UNC as a resident and as a faculty member because of the breadth of experience available in patient care and academics. When I first interviewed for a residency position, I was impressed by the character and accomplishments of all of my interviewers, so my decision to come here for residency was easy. The strong mentorship I received as a resident, made me very enthusiastic about returning to join the staff. To me, it’s the feeling of coming home. I am very excited to work alongside colleagues that were my teachers and mentors. People who truly made an impact on my personal life and my training. The quality of the program has improved, even in the short two years I was away. I am excited to contribute to the increasing research profile of the department which is a major initiative for the Chair, Dr. Kibbe. Why did you want to become a faculty member in the first place? When I started in medicine, I was impressed by the ability of my teachers and mentors to both provide excellent patient care while also contributing to improvements in medical care through their research. Seeing my mentors in action, I knew I wanted to join a teaching institution. Being a faculty member allows me to provide excellent care and mentor others in their academic and surgical careers. As a faculty member I get the opportunity to interact with medical students and residents, hopefully, get them excited about pediatric surgery and the treatment of pediatric surgical diseases. I didn’t know what I wanted to be when I was growing up. No one in my family was in medicine, and it wasn’t originally on my radar. For two years, between high school and college, I spent time working with Spanish-speaking people in Wisconsin as a full-time missionary. In my role, I worked as a volunteer Spanish translator during several doctor’s appointments. Seeing the doctor-patient relationship first hand as an outside observer was something that was extremely gratifying. When I witnessed doctors providing patients with information about their condition, even if they didn’t have all the answers, there was a visible alleviation of stress for them. You could see that it just helped people feel better to know more about what was going. That doctor-patient relationship is something very special and extremely appealing about this job. Since then I’ve been hooked! I love everything about surgery. I loved anatomy in medical school, especially as it related to surgical disease. I was inspired by the depth of the surgeon-patient relationship and unique trust that people place in surgeons to perform an operation. I am drawn to surgery because it physically connects the surgeon to the patient’s outcome, and we train and practice to develop the skills to positively impact the trajectory of a child’s entire life. I think that it’s the interesting surgical diseases, the surgeon-patient relationship, and the mastery of operations that really make this an amazing career. How did you decide to pursue your Pediatric Surgery? Has it met your expectations? One of the things specific to pediatrics is you get to treat patients and their entire family. You see everybody who’s surrounding that child, who cares for them and is invested in their outcome. I get to work with all of those people to help the child have the best outcome possible. Those relationships multiply the rewarding patient-doctor interaction, and I think that’s what I love most about my specialty, and it has definitely exceeded my expectations. So what do you feel your contributions are to your specialty? I’m interested in improving the quality of surgical care delivered to children. I have a background in medical informatics from unique experiences I had at UNC as a resident. Informatics deals with the way we collect and access health information. During my residency, I was heavily involved with EPIC and eventually became the Department of Surgery liaison for it. I found that regarding clinical efficiency it can either be an obstacle or a stepping stone in the delivery of healthcare. I hope to contribute ways to make that delivery smooth for patients and providers. On my return, I will be working with the UNC Health Care Information Services Division department to try to improve the quality of care and efficiency of our health information systems. Why does information make such a huge difference in their outcome? I think it makes a difference in several ways because it touches everything done to care for patients. For instance, if a person comes to the E.R. and their information isn’t collected and made accessible for everyone involved in the patient’s care, it makes for a sub-optimal patient care experience. I am trying to find ways to make sure that information is consistent and that all patients who have similar problems are treated in similar ways which can help improve the care the patients receive. What are some goals you would like to achieve during your time at UNC Surgery? I want to provide good surgical care to the children of North Carolina, and I also want to do research projects and teaching that are meaningful to future doctors. I want people to know that I truly care about them as people and how they’re doing, outside of their illness or job. I also want them to know that I hope every interaction with me is positive in every way. William Stewart Halsted, MD because of his impact on surgical history. I really enjoy reading about history in general but also surgical history. Dr. Halsted was such a fascinating surgeon, so I would love to pick his brain. He was the first chair of surgery at Johns Hopkins, and he established the first residency/housestaff model for surgical training in the US. He pioneered treatments for breast cancer, hernias, and gallstones, so a lot of our field and our entire training paradigm is built on his work. He trained many people that are fathers of other surgical subspecialties, neurosurgery, ENT, orthopedics, all trained under him and then started their own subspecialties. He was the godfather of American Surgery, but who also suffered from very addictive vices including cocaine and morphine. I just think he’d be a fascinating person. I like sports, watching and participating. I like basketball, playing catch with my two sons. I love spending time with my family, my wife and my kids visiting the Museum of Life and Science, taking them to the swimming pool, or heading out to the beach. As for team allegiance, my wife went to Clemson, so we watch a lot of Clemson sports. However, I really love UNC from my time here, but I went to B.Y.U. as an undergrad, so they’re sort of my true first love. What is one of your life failures you most cherish? What did you learn from it? I’ve been blessed in my life with lots of success and failure. When I was 16, I was working on my Eagle Scout project. I had to prepare a proposal for the project which needed approval from a panel before it could be started. They rejected my proposal three times because they didn’t feel it was sufficient to quality for an Eagle Scout. I revised my presentation over and over again until it was finally approved, and then carried out the project. I received my Eagle Scout Award. My multiple repeated failures taught me about perseverance and just sticking with things even when they’re difficult and even when they don’t work out the way you want the first time. I think flying would be a lot of fun.